The Law Office of Kevin E. Rockitter launches an improved website to make it easier than ever to connect with an experienced divorce lawyer or get answers to basic legal questions. Our improved site is designed entirely with our clients and potential clients in mind. We hope they will use it as a resource to answer their initial questions, and then let us guide them through the legal process personally. The Law Office of Kevin E. Rockitter in Woodbury, New York announces the launch of an improved website, providing a valuable online legal resource to current and potential clients. The site offers helpful information to remove some of the fear and uncertainty from the legal process, including basic information on divorce laws. "Our improved site is designed entirely with our clients and potential clients in mind,” said attorney Kevin E. Rockitter. “We hope they will use it as a resource to answer their initial questions, and then let us guide them through the legal process personally." Website visitors learn how experienced divorce attorney Kevin E. Rockitter can assist them with their legal issue. His firm has developed a reputation for cost-effective and client-focused representation of clients throughout Long Island in divorce legal matters. Serving clients from Nassau and Suffolk Counties, the firm is dedicated to protecting the rights of individuals going through a divorce. The improved website explains each legal service offered by the firm in greater detail. It also shares biographical information about the lawyer’s background. Lawyer Kevin E. Rockitter has nearly 30 years of experience. 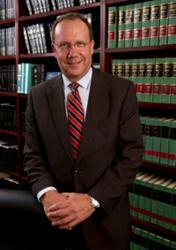 For more information about his law practice, please visit the firm’s website or call 516.364.0600.